Making has always been a huge part of my life, playing around with different materials always gave me pleasure as a child. During the last year of my A Levels I began experimenting with forged steel and found this method to be particularly engaging and entertaining. 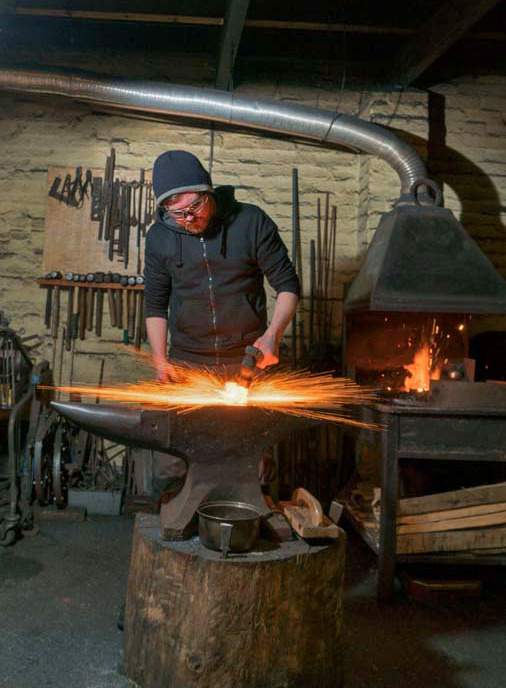 I think what has drawn me to the blacksmithing process in particular is the way in which the techniques used can turn a material so solid, lifeless and rigid into something which has a feel of softness, movement and fluidity. 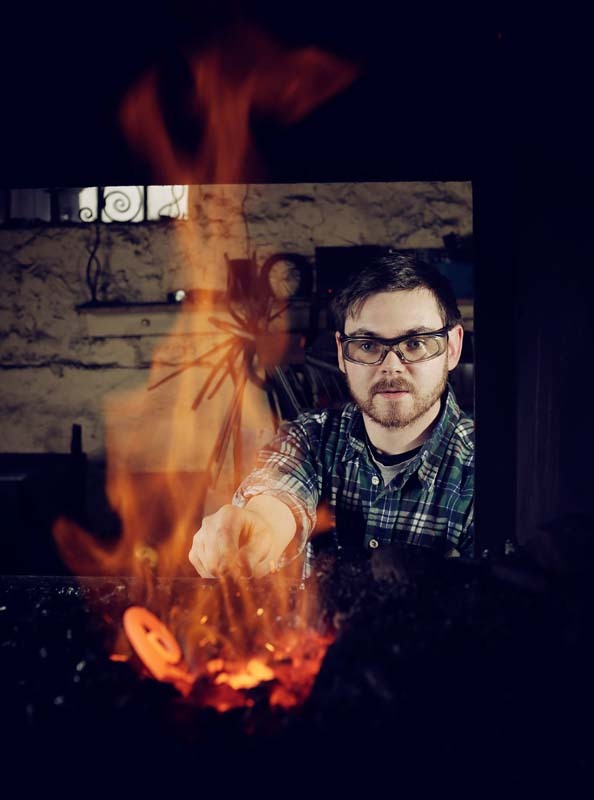 After completing my A Levels I enrolled on the Artist Blacksmithing Course at Hereford College of Arts and I graduated in 2012. My inspiration comes from a number of sources. The majority of my work is a result of my interest in the flowing forms and fluid curves found in rising smoke, dancing flames and certain plants. I find beauty in simple, elegant forms and I hope that my work reflects this. I want my work to be seen as functional as well as beautiful. My pieces are designed and produced to be used around the home rather than tucked away as something precious and fragile. After graduating from Hereford College of Arts I set up Chris The Smith in early 2013. I began producing items in a small forge in Worcestershire and started to sell my work at craft fairs around the Midlands. I was encouraged by the comments people made at the craft fairs and decided to sell my goods through the internet, that was when I discovered Etsy and decided to use it as my online shop. I began running Blacksmithing Courses from my workshop in late 2014 and I’ve found them to be exceptionally popular among people of all ages. I joined the Cotswold Craftsmen in 2015 and began exhibiting along side them at larger events like the RHS Malvern Spring Festival.